DC Sail provides unique sailing and boating safety opportunities available to area youth each year! Our programs focus on STEM-based (science, technology, engineering, math) curriculum including safe boating practices, environmental awareness, leadership development & physical fitness. It is only with your help that we can make this possible! Please click here to launch the 2018 Youth Scholarship Goals Summary. DC Sail, a program of the National Maritime Heritage Foundation, is the only community-based non-profit sailing organization in the District of Columbia. 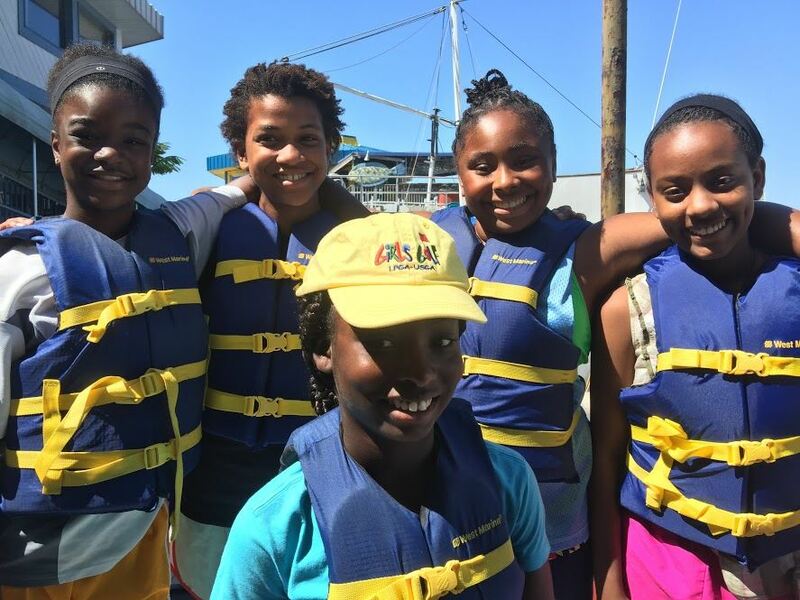 Our program revenue and your donations make it possible for DC Sail to provide opportunities for the youth of our community to learn how to sail and gain knowledge in boating safety. The goal of our youth programs is to teach young people the skills they will need to be successful sailors and lifetime skills such as teamwork, decision-making and respect for our fragile waterway systems and overall environment. Donations also help fund scholarships for our young prospective sailors to attend our summer camp, "Kids Set Sail," and our expanding High School Racing Program. A day of summer camp, for example, is $75. Please consider a donation to sponsor a young sailor! DC Sail is a program of National Maritime Heritage Foundation, a 501(c)(3) non-profit organization. Contributions to the organization are tax deductible to the full extent permitted by law. In the event of changes to schedule, cancelled events due to weather, etc., we require a mobile phone number where we may reach you. We enjoy learning how DC Sail inspires you to donate. Please share a few words with us.